Guadalajara, capital of Jalisco, is the land of mariachis and agave fields. The contrast between tradition and modernity here is surprising, as it is how little it has to envy CDMX, previously known as México DF. In its historic city centre, there is a clear French and Spanish colonial influence, where artisan crafts are intertwined with overwhelmingly modern art, architecture and music. Let’s take a walk! The best way to get around across the city is, no doubt, Uber, as it is cheap, safe, and effective. The city never expected to become the third largest national economic centre, thus there is always heavy traffic. Don’t go mad if you find yourself in a traffic jam! 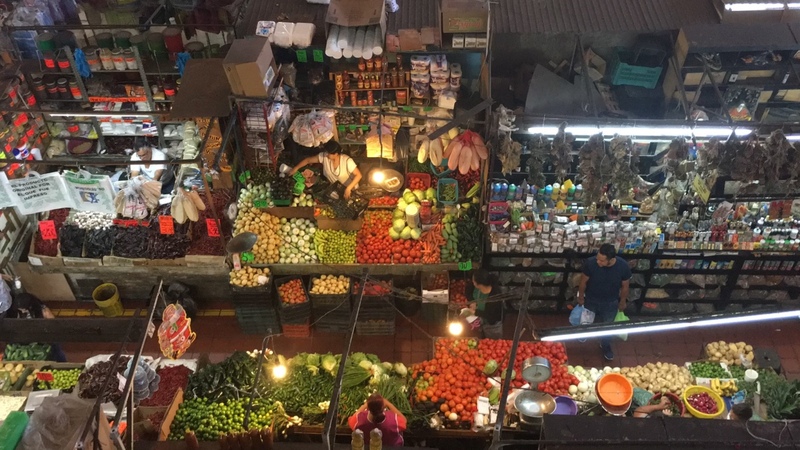 It would be a sin to miss the “Mercado de San Juan de Dios,” also known as the “Mercado Libertad.” Designed by Alejandro Zohn, a professor at the local architecture school, both the building and its interiors make the visit a reach experience. It is divided in three floors, with the first being dedicated to foods. And amongst all the food products, cakes and sweets deserve a special mention, and the amaranth in particular. What is it? Well, it is the new trendy superfood —the new Goji berry— and it comes in tablets, with yellow seeds and covered in honey. It is certainly not as healthy as women’s magazines claim, but if you have a sweet tooth, you will enjoy it tremendously. On the second floor, you will find all types of leather goods. 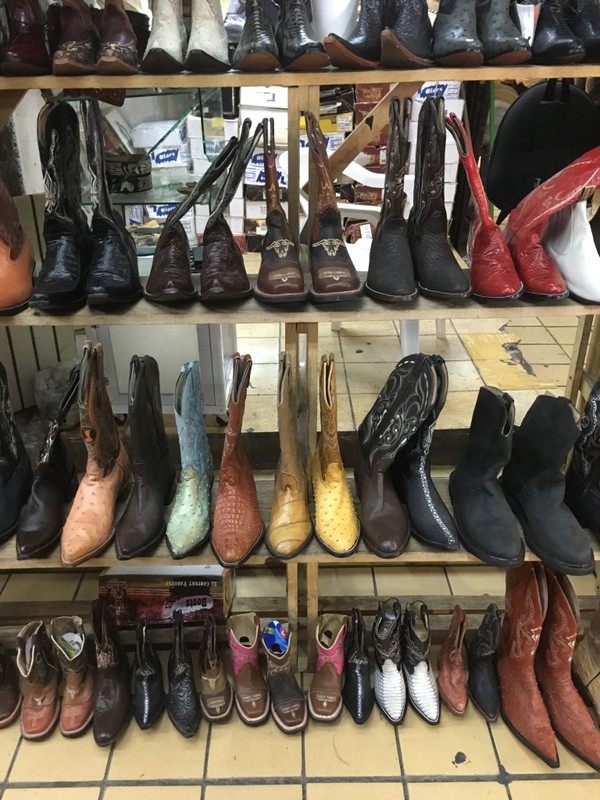 And the boots and cowboy hats section is truly fascinating. 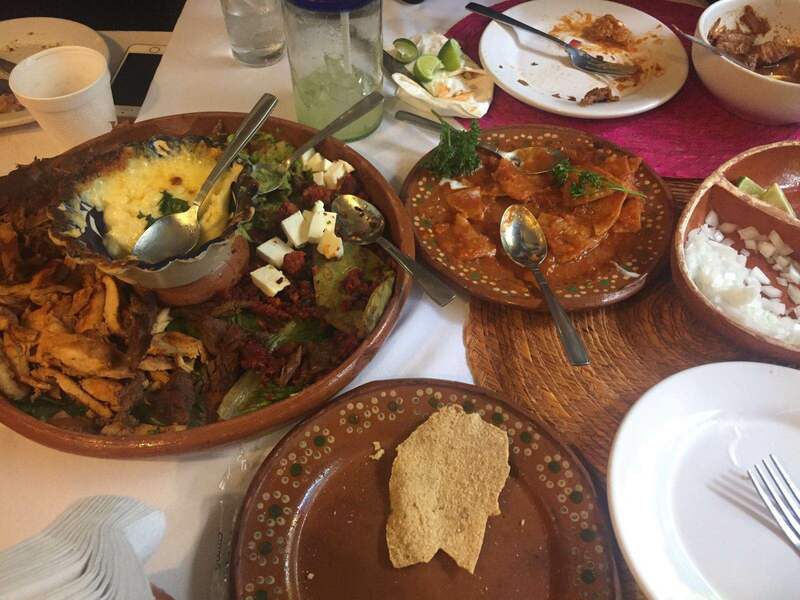 The last floor is dedicated to gastronomy: Taco stands, chilaquiles, and, of course, tortas ahogadas, one of the most typical dishes of the region. These are made with birote, a special bread that, due to its fermentation process, is saltier and bitter than regular bread, and filled with carnitas, which are meat pieces soaked in hot chilli pepper sauce: A smoking hot delicacy! You can also enjoy some spectacular views while savouring your meal. As we have already said in the first paragraph, not everything happens in DF. 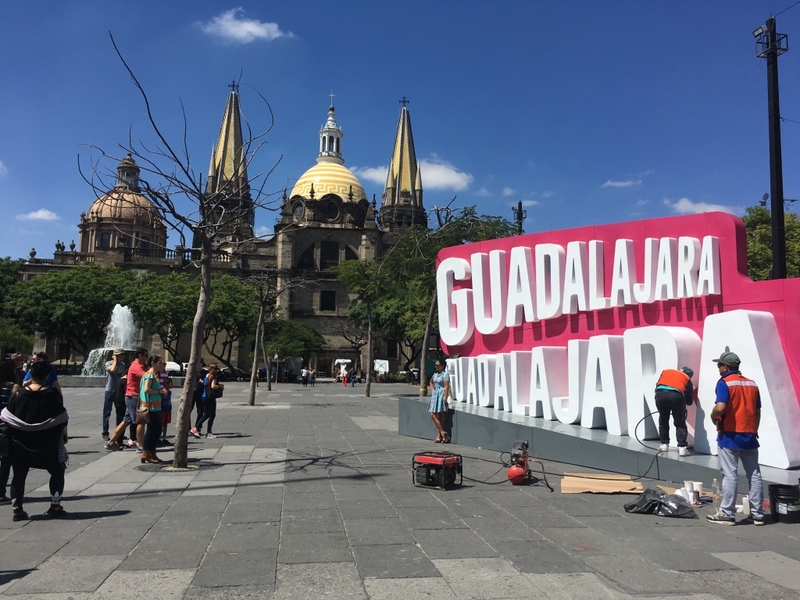 There is a growing cultural movement in Guadalajara. The evidence? It was the venue chosen by the select Boiler Room for one of their usual sessions. If you like dance music, then you’ll know what I’m talking about. And if you don’t, it’s never too late to do a search on YouTube. 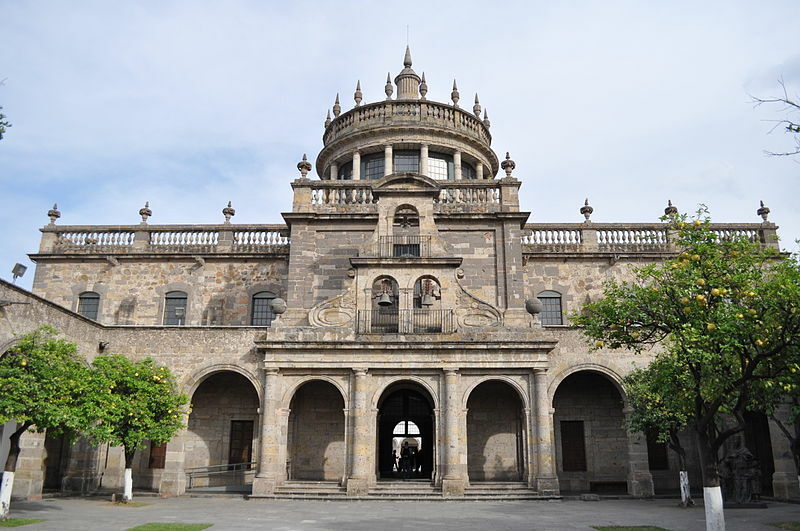 The leading cultural centre of the city is the Cabañas Cultural Centre, located in the old Hospicio Cabañas, one of the most emblematic buildings in the city. Built in a neoclassical style and declared UNESCO Heritage Site in 1997, it currently houses the most avant-garde events in the city. If you are interested in contemporary art, the Curro and Travesía Cuatro galleries -the latter having a branch in Madrid- are a must-see. And lastly, we recommend the Museo de Arte de Zapopan, or MAZ, dedicated to modernity in all its forms, and with particular emphasis on new languages. Pieces from Rodin, Tapiès, Picasso, or Kahlo have been exhibited in its halls. Kill sorrow with a drink: Tequila or Mescal? 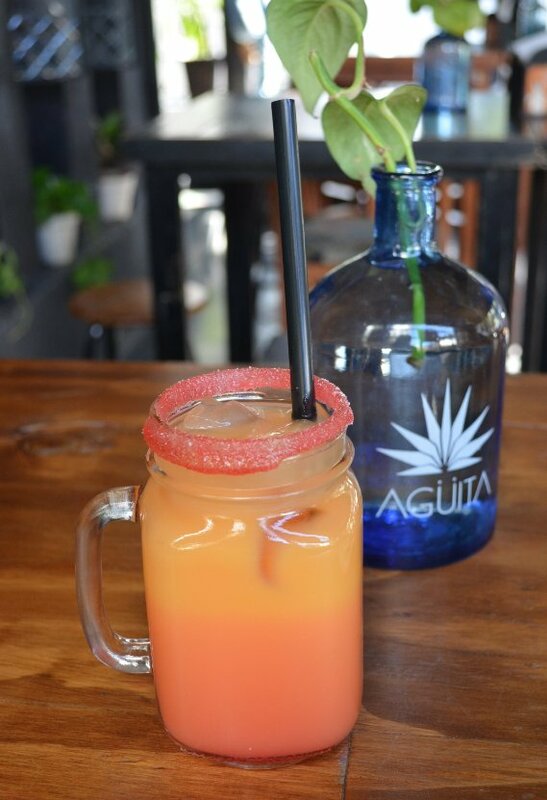 And as you are in the region of agave fields -the municipality of Tequila is located in the same state, only 67 km away, and it is worth a visit if you have time- you must try the local tequila, of course. And also mescal, both derived from a plant called maguey. As a note to amateurs, it is worth mentioning that tequila is only a variety of mescal. Mescal is 100% agave and it is an artisan product, whilst tequila is a much more industrialised product. So you can decide on which one you like best, Agüita Agavería. Our suggestion? Mescal mojitos. And if after the first mescal, there comes a second one and, very likely, a third one… We will have to talk about late hours and general partying. If you are looking for the most native side, Génesis is the place to be. It is a legendary party lounge located in the cellar of the Hotel Carlton and which is now the meeting place for the country’s innovative spirit. There you can listen to Mexican hits from current and previous pop charts, mixed with some from the eighties -and smoking is allowed-. Very enjoyable! And if you still don’t want to go back to the hotel and you are a fan of techno-house music, the Bar Américas and its pink neon signs are for you. A Berlin-inspired club in the heart of Mexico! 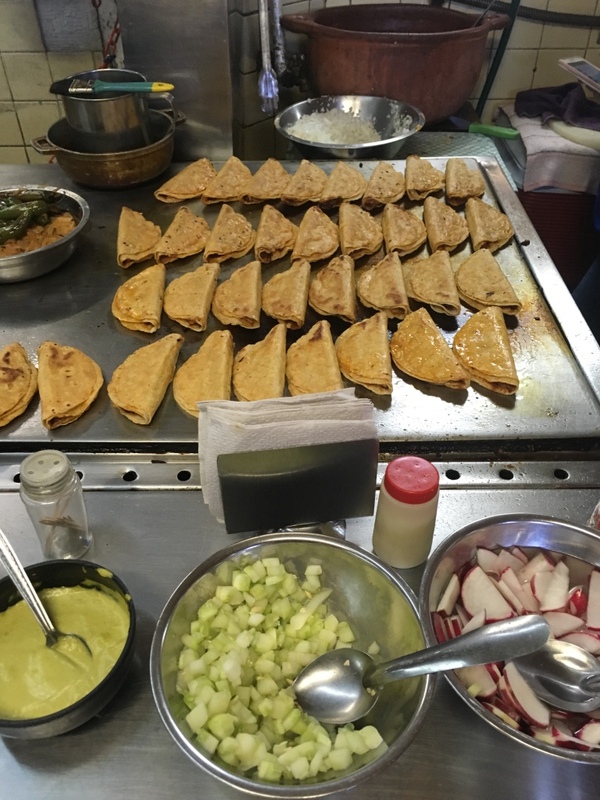 For food lovers, or for those who followed our advice and went hard on the mescal, there is nothing better than to eat the street tacos of Chapultepec Tacos the next day. Just an advice: Go easy on the sauces unless you are looking for Montezuma’s revenge! 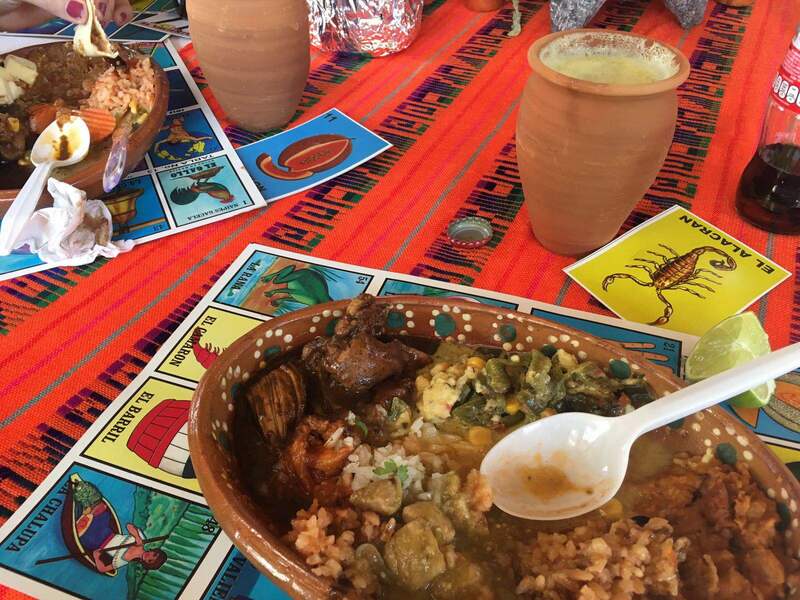 Another option for getting rid of the hangover is to have the very well-known tortas ahogadas. And Tortas Toño is the best place to try them. It is a non-fancy place, just stools in a line, where you can sink your teeth into one made of chicken, chicharrones, and some hot sauce. Delicious! 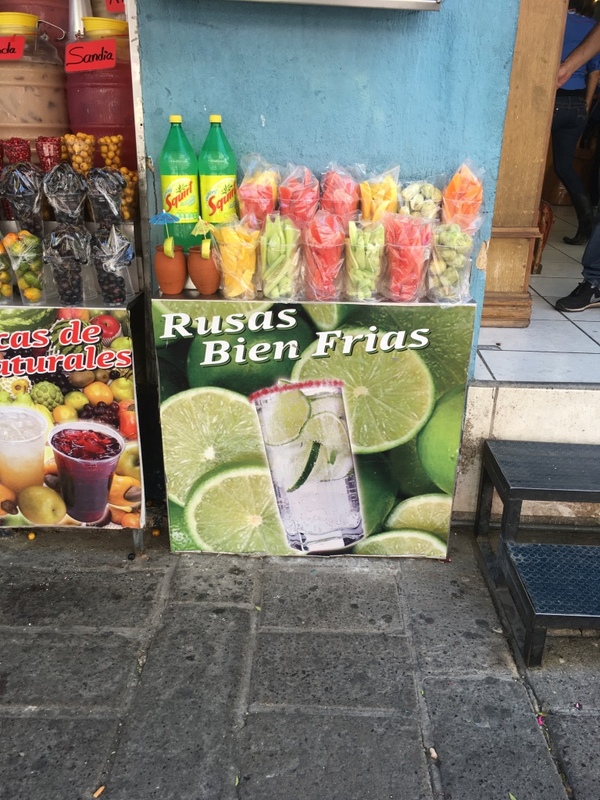 And if you want to get rid of the hangover in a more traditional way, that is, by continue drinking, try an ice-cold rusa, a typical road-side stalls drink served in a ceramic jug.